Ben is a walking train-wreck, a loser and a dreamer, obsessed with the idea of becoming a Samurai and saving Marie, his secret object of desire, from her criminal life. But Marie happens to be the twin sister to Antoinette, leader of the Frenchies, and she doesn’t want to be saved. Ben practices hard, wears a lot of black and has the haircut, but he can’t afford a real Katana – and his Tourette’s Syndrome is so bad he’s on eight kinds of medication just to function at all. Enter the Master – Itches – a homeless, blind Jamaican Origami artist. Ben becomes convinced he’s a reincarnation of Zatoichi, the legendary Samurai, and sets out on a campaign to make Itches his master. 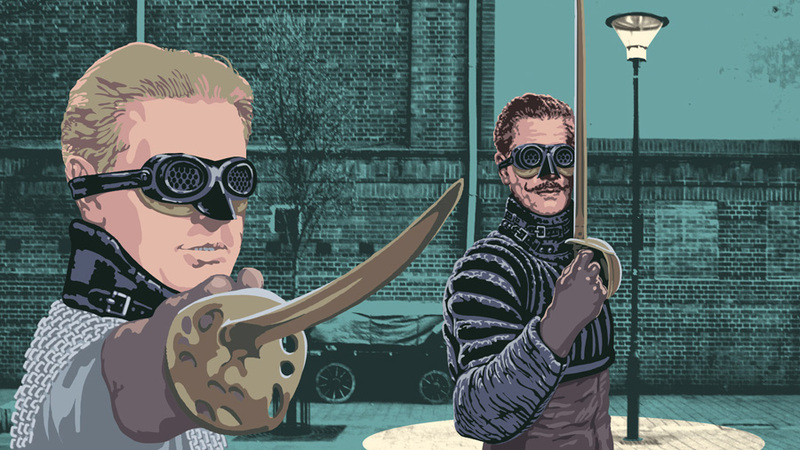 Only Itches isn’t interested – and that leaves Ben, a sheep among wolves as a bloody gang war erupts across Camden Town and the real sword masters begin to reveal themselves in strange and unpredictable ways. 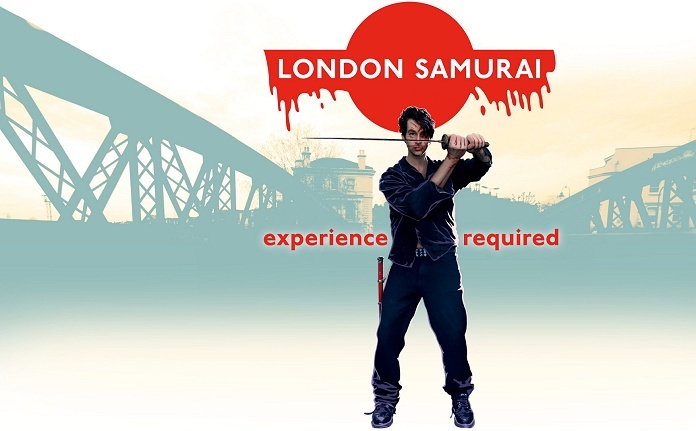 London Samurai is a collision of pure Zen, living Manga and Sixties style hipster psychedelia, combined into an adrenaline-fuelled hundred minutes of dazzling fight spectacle.